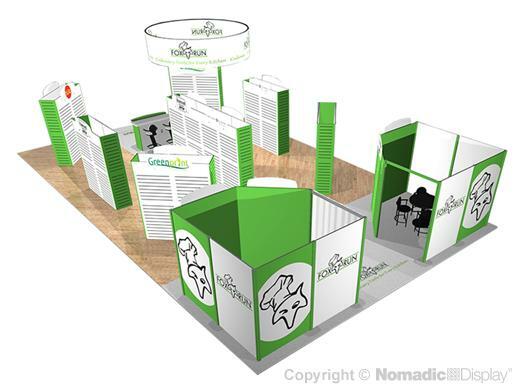 Nomadic has a whole new generation of breathtaking custom modular trade show displays that are helping you drive brand visibility in key markets. We develop creative display solutions that add a whole new level of dimensional impact to your 50’ trade show display. Bring ultimate individuality to your presentation with a variety of upscale accessories including: a semi-private meeting area, free-standing display counters and slatwall racks for ultimate product display and layered graphic signage.